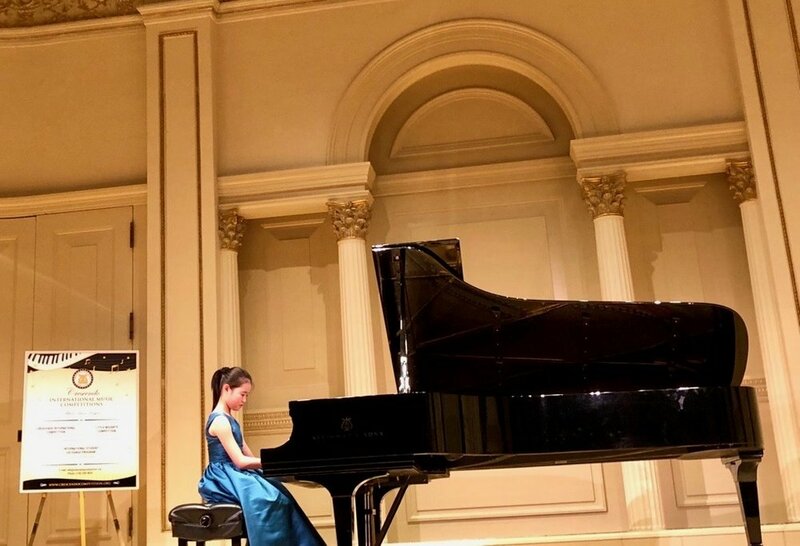 Nadlly, an Atrium seventh grader, won first prize in the Crescendo International Music Competition at Carnegie Hall, competing against musicians from across the Northeast as well as Canada, Germany, Korea, Austria, and Russia. Nadlly has been playing piano for an hour a day for seven years, starting when she was five years old. "I don’t remember the exact reason, but when I was little I was just always jealous at people who can play piano," she said. "One day my mom asked me, 'Do you want to learn piano or not?' and I said yes, but then she told about how hard it would be and you have to practice everyday and if I learned it I can’t stop in the middle." The Crescendo Competition was the first competition she had performed in, and she chose it because it was at Carnegie Hall. "When I was backstage I was sososo nervous and also really excited because it’s my dream to play in Carnegie Hall," she said. Despite the nerves, she won first prize and plans to compete in the Competition next year, playing both piano and cello, which she started playing at age seven.